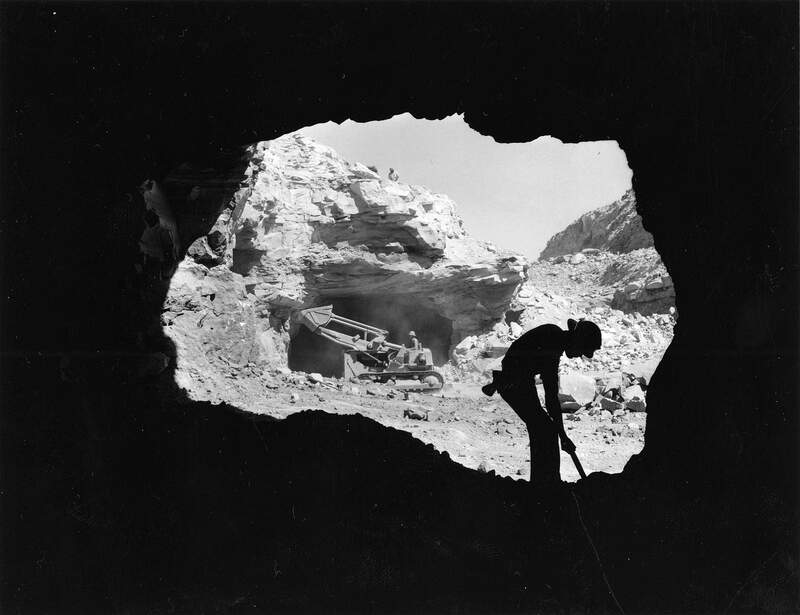 This photo of a silhouetted miner shows work being done at Monument No. 2, a major uranium mine in Monument Valley. By the early 1960s Navajo miners, many of whom had no workplace protection from radiation, had mined 6 million tons of uranium off Navajo lands. By 1981, teenage girls living in Navajo communities near uranium mines and mills had cancer in their reproductive organs at a rate 17 times the national average. 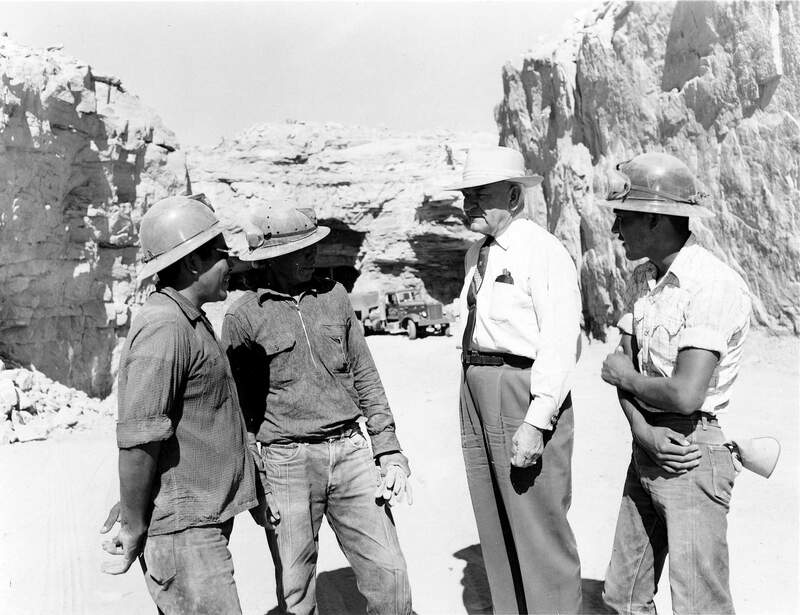 Denny Viles, who lived in Durango and was a member of the town’s economic and social elite, poses here with Navajo miners at the Monument Valley uranium mine Monument No. 2. The Durango mill processed ore trucked in from a variety of mines. 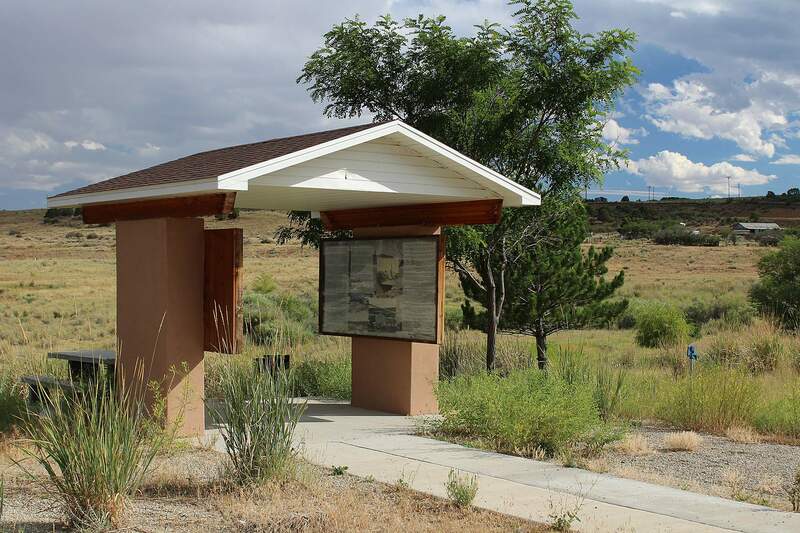 The poisonous past in Durango is represented by the 2.5 million cubic yards of radioactive tailings stored just north of Lake Nighthorse in a 42-acre disposal cell. The Durango mill site, now the dog park along the Animas River, processed both uranium or yellowcake and vanadium or red cake. Material from the mill helped develop atomic bombs for the Manhattan Project. 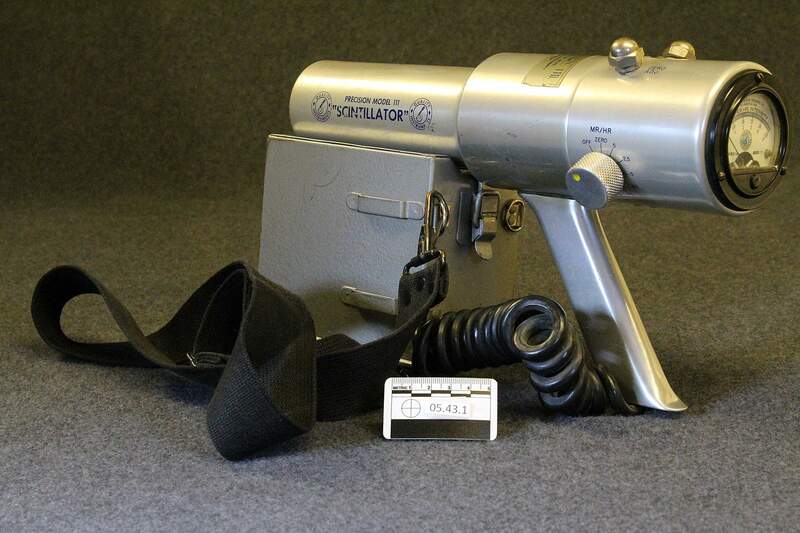 This vintage “Scintillator” was purchased by former Durango Mayor Bob Beers to be used in a small airplane to fly over Utah’s canyon country and detect uranium. Supposedly, you just aimed it out the plane’s windshield and it could locate precious uranium deposits buried under layers of sandstone. Like other gadgets sold during the uranium frenzy of the 1950s, this device, which looks remarkably like a ray gun, had little practical use. An interpretive kiosk at the Monticello Mill site includes a timeline covering the history of the mill, its owners, and its dangers. Another part of the kiosk describes memorial displays and personal stories of local Utahns who became ill or died from radiation exposure, rightfully claiming to be uncompensated victims of the Cold War. 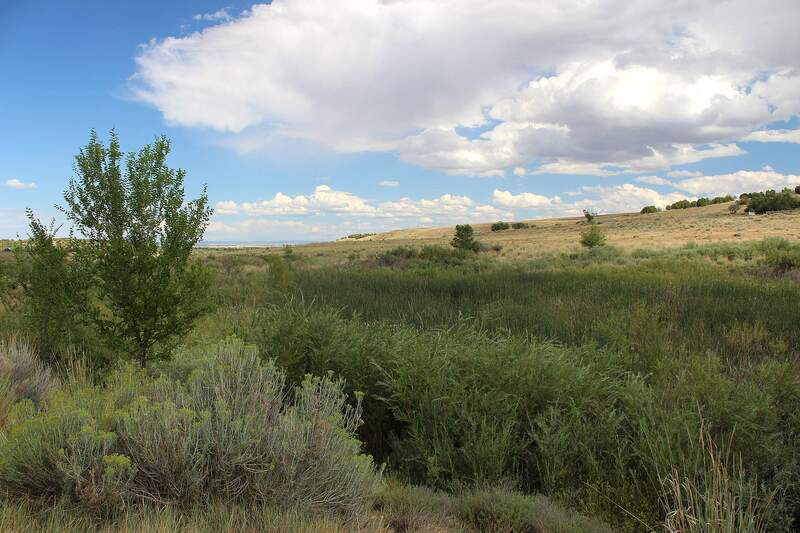 A wetland with watercress, cattails, willows and hiking trails at the bottom of Clay Hill Road on the southeast side of Monticello covers ground once contaminated by mill tailings and radiation. San Juan County, Utah, is to be commended for listing the Monticello Mill Site as No. 77 in the top 100 sites to see in the county in their summer 2017 guidebook. Tourists flock to Monument Valley, Utah, where red sandstone spires of the Mitten Buttes rise above desert sands. Publicity promotions of that iconic geology omit reference to the two nearby uranium mines, Monument No. 1 and Monument No. 2, which employed hundreds of Navajo miners who would die at an early age of various cancers. The Four Corners towns of Durango, Gateway, Mexican Hat, Moab, Monticello, Shiprock and Tuba City all had uranium mills spewing poisons into the clear air of the Colorado Plateau. At Monticello, Utah, housewives gathering their laundry off the line found it coated with yellow dust. Many became ill. Some died of leukemia. Our Four Corners economy once heavily depended upon uranium exploration and mining. It was a different era, and locals embraced the Atomic Age because World War II blended seamlessly with the Cold War and we needed nuclear weapons to deter Russian aggression. The 1950s spawned the baby boom, fast cars with long fins, rock ’n’ roll music and a radical, revealing, two-piece swimsuit named the bikini, which was “hot” just like the island atoll in the Pacific Ocean of the same name, which we had blasted with atomic bombs. Attractive women were considered “bombshells,” and thousands of prospectors swarmed the Colorado Plateau because: “Uranium was suddenly the most critical material the United States had ever known. It fueled atomic weapons. It promised environmentally-clean electrical power, gas-free operation of cars, planes and locomotives ... Uncle Sam was desperate for the mineral and willing to pay for it. By law, the federal government was the only buyer,” writes Raye Ringholz in Uranium Frenzy: Boom and Bust on the Colorado Plateau. HHHTexas geologist Charlie Steen struck it rich near Moab with his Mi Vida Mine and made national headlines. Suddenly, everyone wanted to buy a Jeep, a Geiger counter, khaki pants, work boots, picks and shovels and head out for the slickrock country in the only mining boom in Western history promoted by the federal government. Prospectors filed claims and opened small “dog-hole” mines to get ore out. The Atomic Energy Commission built new bridges and roads, especially across the Navajo reservation, but few researchers worried about the effects of radiation and the impacts of radon gas. No set health standards existed for uranium miners or millworkers. Scientists thought they knew about radiation’s role in creating cancers, but federal agencies said that health monitoring and mine safety was a state responsibility, and state public health inspectors in the Four Corners had limited budgets and unclear directives. To inspect mines, the public health agencies needed permission from the mine corporations, which felt obligated to maximize production, not to spend extra money per ton of ore on better ventilation systems, showers and changing facilities for miners’ work clothes. So miners worked all day around deadly radon gas. They ate lunch in the mines sitting on radioactive rocks. Navajo miners went home covered in dust, hugged their wives, embraced their children and fed their livestock without taking off their work clothes. “As for the miners, they were traditionally inured to dangers underground. Hazardous conditions were just part of the mining game. Radiation was just a new name for it,” Ringholz writes. “Most of the miners thought they were all right. The radon gas was something you couldn’t see, taste or smell. They thought as long as it was sand and not silica, they were safe. 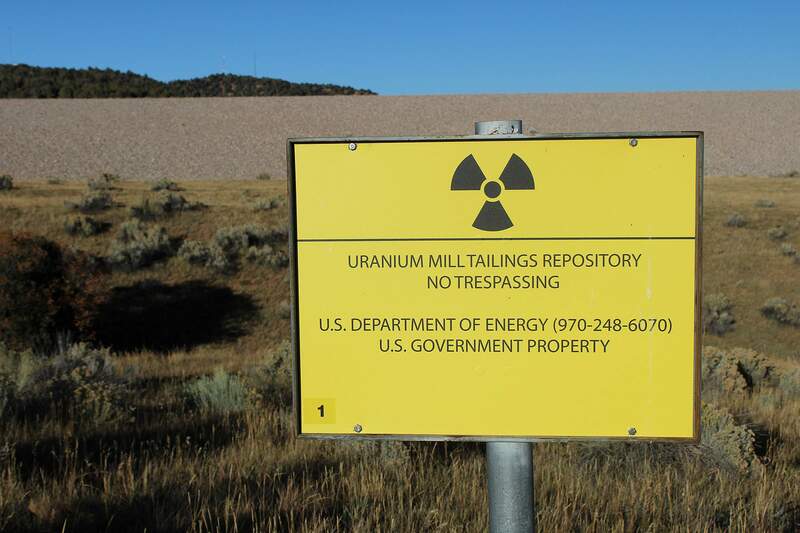 It was hard to teach these people that something was wrong,” explained a former Colorado state mine inspector in Uranium Frenzy. HHHRadiation takes time to show its deadly effects. Radon gas decays into solid microscopic particles called daughters. Some have half-lives of a few seconds or minutes, but others become Polonium-218, Bismuth-214 or Polonium-214. As radon breaks down, a new daughter is formed, and without proper mine or mill ventilation, the tiny nuclear particles collected on suspended dust and worked their way into men’s lungs – first into soft tissue then bone. “The Navajo uranium miners averaged cumulative exposures that were about 44 times higher than the levels at Hiroshima and Nagasaki,” reveals environmental writer Judy Pasternak in her book, Yellow Dirt: A Poisoned Land and the Betrayal of the Navajos. It happened, across the Colorado Plateau. There was frantic prospecting for uranium mines, then the mines’ development and valuable ore trucked off to the many mills in uncovered loads rattling yellow dust every mile. No environmental protection agency existed. No careful monitoring occurred. Later, when the AEC had stockpiled enough yellowcake, the mining and milling stopped. The uranium boom ended, but not the work of the deadly radon daughters. That had just begun. Most of the mine and mill sites have been reclaimed at the taxpayers’ cost of millions of dollars – $250 million for Grand Junction and the same amount for Monticello. Because of worldwide nuclear fears, the bottom has dropped out of the uranium market. Mining has ended. Moab, which once boasted it was the uranium capital of the world, is now flooded with tourists and Jeeps and has a thriving recreational economy. Durango’s uranium mill became a Superfund site below Smelter Mountain and is now a dog park with the hazardous material buried elsewhere. Only Monticello is interpreting its poisoned past. HHHI found the road signs and drove to where the 78-acre Monticello Mill had been in a creek bottom just below the highway. 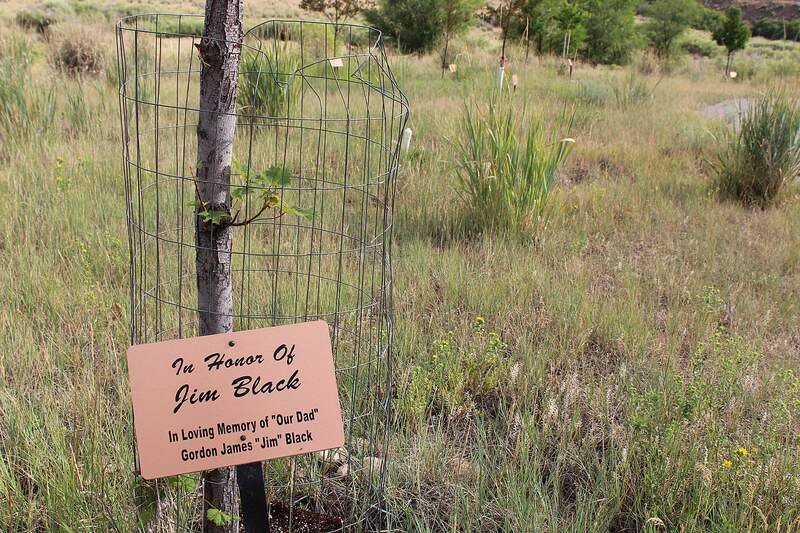 Like Rocky Flats near Denver, the mill site is now a reclaimed wildlife area, with newly planted pine trees, fruit trees, elms, willows, cottonwoods and pampas grass. Some of the trees have signs hung on them, like headstones, in memory of millworkers or residents who died of cancer-related deaths. My dog and I walked the loop trail, somber and quiet after reading the mill site’s history. One side of the kiosk has facts about the plant, which closed in 1962, but the tailings were left exposed. Children played in the tailings piles, swam in the downstream ponds, drank from the creek below the mill. Gophers aerating the tailings were shot and killed after being tracked by Geiger counters. A high school principal bemoans ever coming to Monticello. He describes the heartbreak of having his son, captain of the basketball team, die of leukemia two months before turning 17. HHHStunned, I left the kiosk to walk the trail. To the east rose Lone Cone Mountain. Thunderstorms came from the west. A few raindrops landed in the dust, and I thought of all the tragic stories yet untold of uranium mining across the Colorado Plateau.